Location based access control system will require the default location parameter for every user to restrict the access based on the default locations. So We need to assign the default locations to the users while they are registering in the OpenMRS. 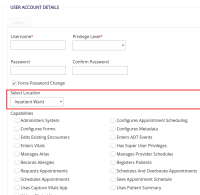 Use the AOP techniques to save the default location to the users as a person attribute while they are registering the system.